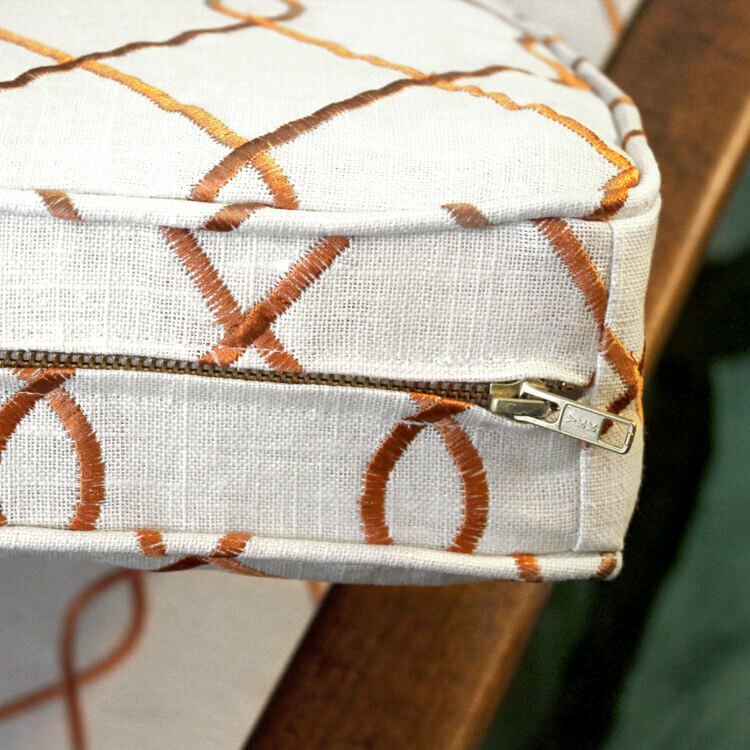 There are many ways to sew a zipper, but this method is great for home decor projects, like adding zippers to cushions or pillows. 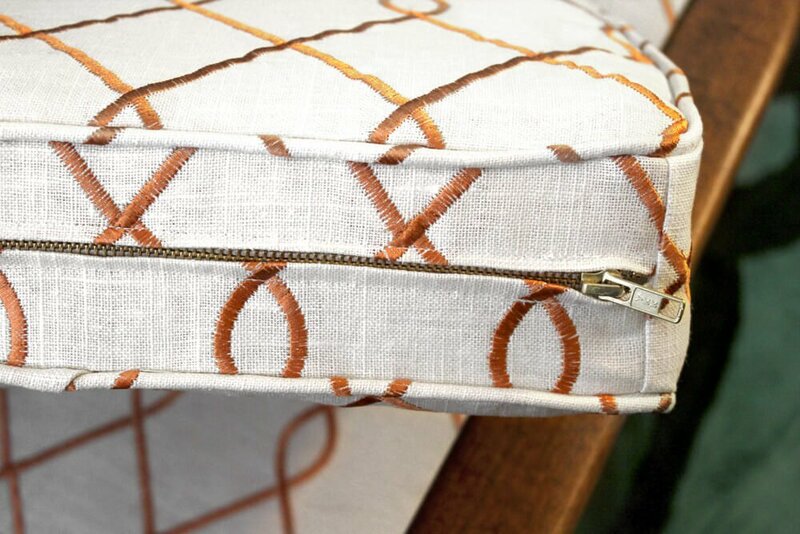 See How to Make Box Cushions with a Zipper for the full tutorial on making box cushions. 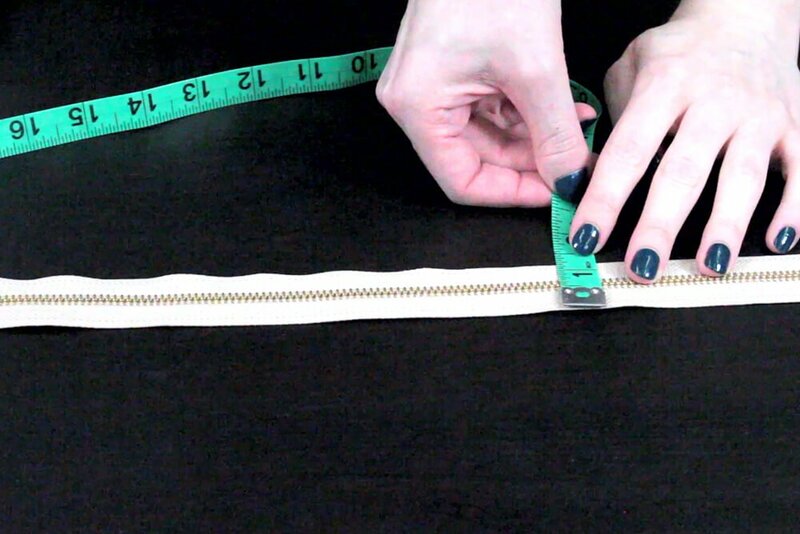 Start by measuring the width and length of your zipper. This one is 1 1/8″ wide and 18″ long. It has a closed end but you can also use one with an open end and cut it to size. 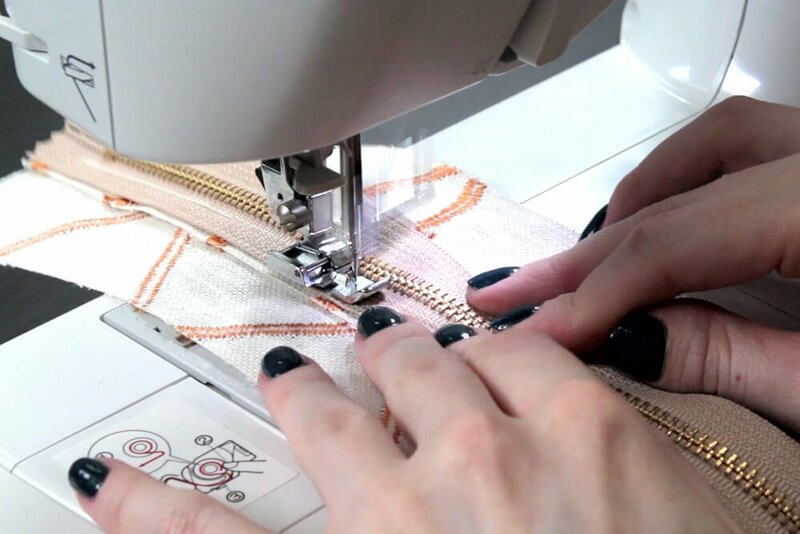 When cutting your piece of fabric, make it at least as long as your zipper, and your desired finished width plus the width of your zipper. I measured out from the needle and marked the seam allowance that I need with some painter’s tape. 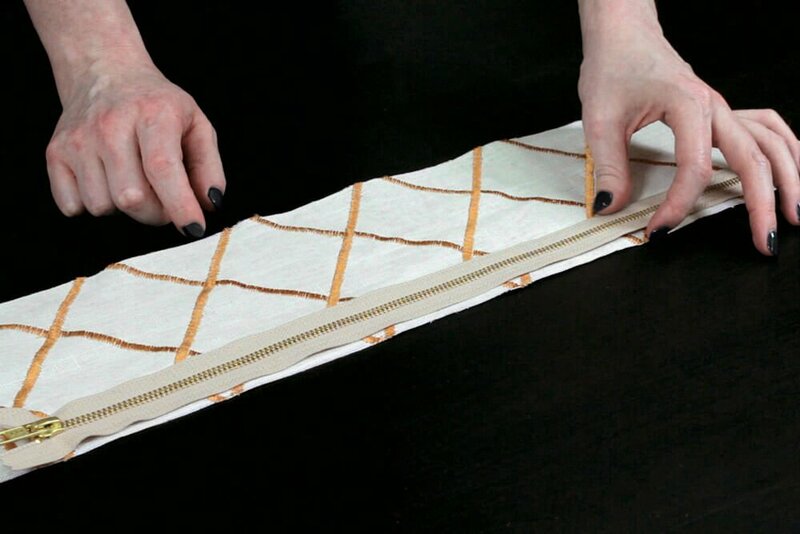 Fold the piece of fabric in half lengthwise with right sides facing. On the folded side, sew down the length using a seam allowance that is half the width of the zipper. 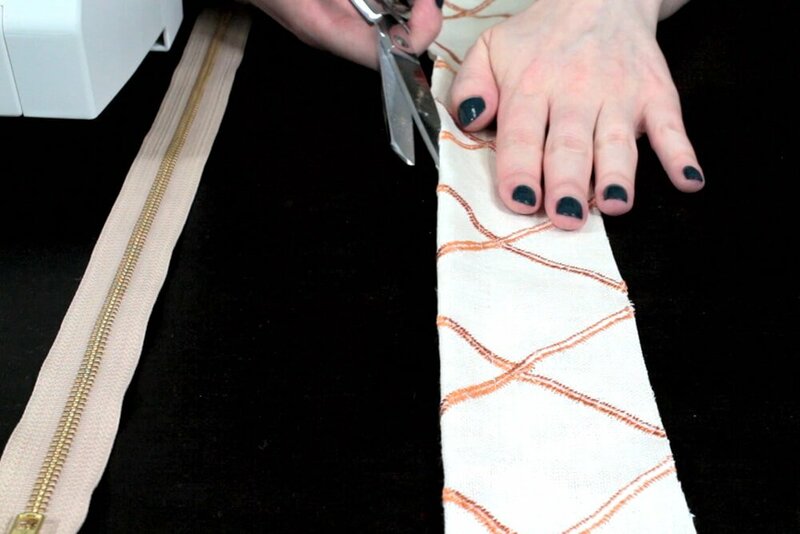 You can use a long stitch length here because you’ll be taking this seam out later. Change the foot to a zipper foot. Also change the stitch length back to a medium length. Cut down the middle of the fold and open up the seam. 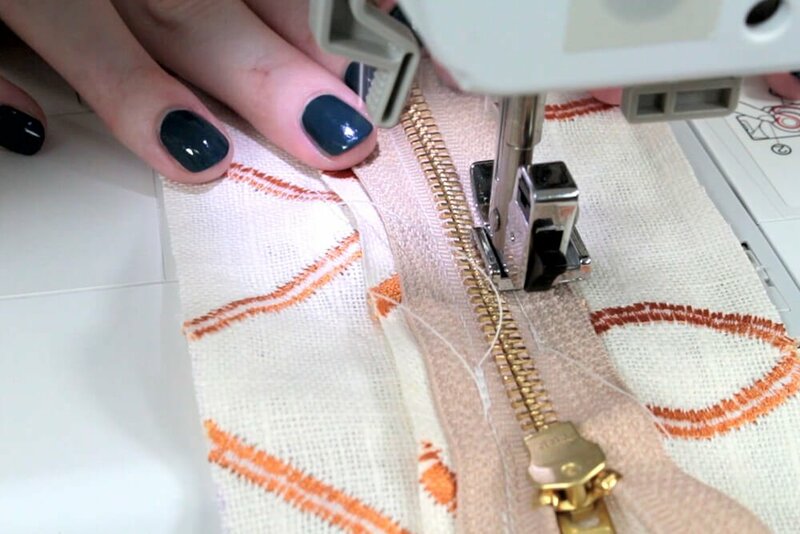 Lay the zipper on top of the seam facing down so that the center of the zipper is right on top of the center of the seam. Put the zipper up against the side of the zipper foot. Sew down the length making sure the center of the zipper remains in line with the seam. Stop before you reach the pull tab. Slide it up so it’s out of the way and finish sewing to the end of the zipper. Finally, take a seam ripper and open the basted seam. 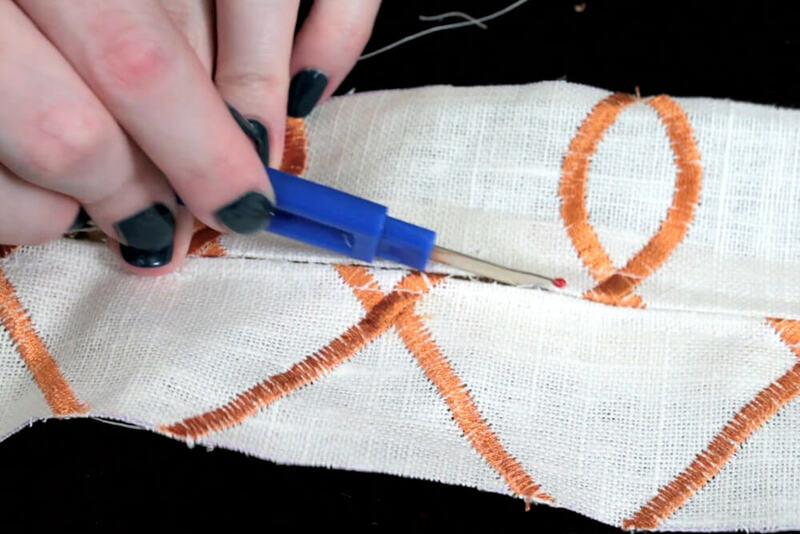 Remove the stray threads and you’re ready to add a zipper to your project. 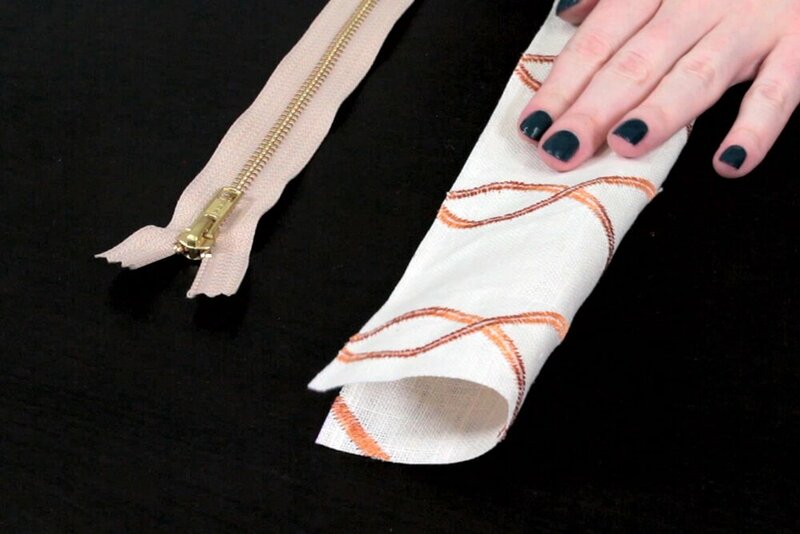 Find upholstery zippers for your next project. Can I just replace my zipper pull if the old one broke off? Or do I have to replace the entire zipper? It is for my chaise sofa cushion. BEST ANSWER: There may be a way to fix it, but unfortunately you will probably have to replace the zipper. 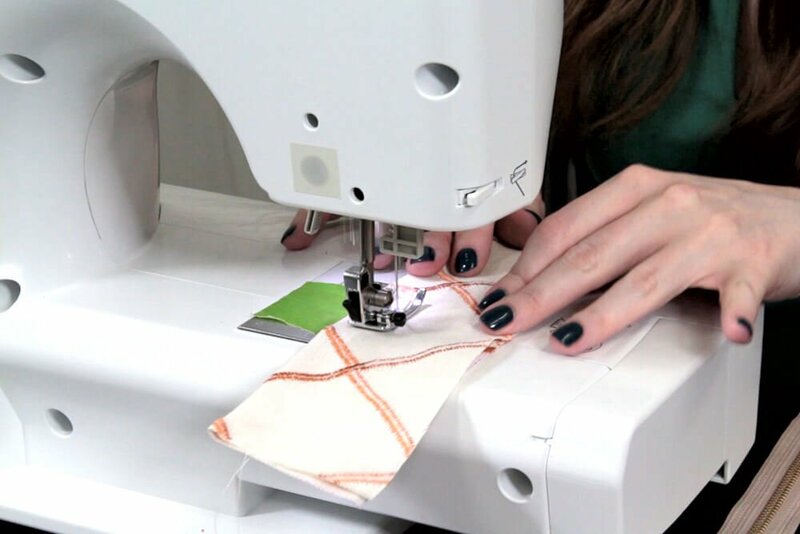 BEST ANSWER: Follow the same instructions but use hand stitching instead of a machine.